While the bathroom is a necessary part of every home, that does not mean that it cannot add to the overall comfort and appeal of your surroundings. When done correctly, bathroom remodeling can add a tranquil effect, creating a relaxing environment. Whether you are wanting to make your bathroom more useful or you just want to add to the overall appearance, Milton Constructions in Lexington, MA can help you design the bathroom of your dreams. There is a multitude of design styles, from a more rustic look to a modern approach. You can decorate your bathroom with your very own flair. Bathroom remodeling can help organize your space more effectively, with the addition of extra countertop space, new linen closets and other cabinets. Transform your bathroom into a spa retreat, with the addition of a luxurious spa tub. You can finally have that romantic evening or just some much needed alone time. 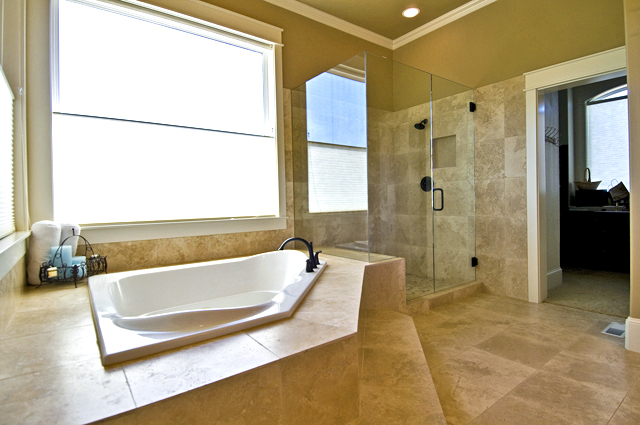 Bathroom remodeling can protect your bathroom from future damage. Adding a proper ventilation system can protect your bathroom from water damage that can lead to mold and mildew or even rotting floorboards. Add comfort measures with amenities such as heated floors, massaging shower head or a waterproof sound system. Adding a few niceties can greatly add to the comfort of your bathroom. Increase the overall functionality of your bathroom with items such as his and her sinks. Place a vanity and sink outside of the main bathroom area so that you can continue getting ready while others make use of the bathroom. A well designed bathroom can help simplify your morning routine, eliminating unnecessary stress at the start of your day. We can assist you in creating the perfect environment that is most suitable for your needs, from adding additional half baths to creating elaborate master bathrooms. Whatever you are looking for, we are here to serve you.